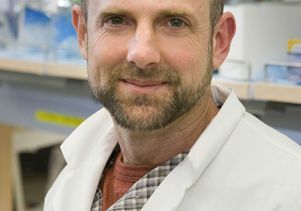 UCLA biologists working as "evolutionary detectives" studied the faces of 129 adult male primates from Central and South America, and they offer some answers in research published today, Jan. 11, in the early online edition of the journal Proceedings of the Royal Society B. The faces they studied evolved over at least 24 million years, they report. The life scientists divided each face into 14 regions; coded the color of each part, including the hair and skin; studied the patterns and anatomy of the faces; and gave each a "facial complexity" score. 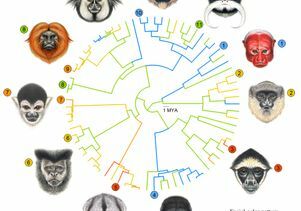 They studied how the complexity of primate faces evolved over time and examined the primates' social systems. To assess how facial colors are related to physical environments, they analyzed environmental variables, using the longitude and latitude of primates' habitats as a proxy for sun exposure and temperature. They also used statistical methods to analyze the evolutionary history of the primate groups and when they diverged from one another. The researchers' finding that faces are more simple in larger groups came as a surprise. "Initially, we thought it might be the opposite," Santana said. "You might expect that in larger groups, faces would vary more and have more complex parts that would allow one individual to identify any member of that group. That is not what we found. Species that live in larger groups live in closer proximity to one another and tend to use facial expressions more than species in smaller groups that are more spread out. Being in closer proximity puts a stronger pressure on using facial expressions." "This finding suggests that facial expressions are increasingly important in large groups," said co-author Jessica Lynch Alfaro, associate director of the UCLA Institute for Society and Genetics. "If you're highly social, then facial expressions matter more than having a highly complex pattern on your face. " The evolutionary biologists also found that when primates live in environment with more species that are closely related, their faces are more complex, regardless of their group size. This finding is consistent with their need to recognize individuals of other closely related species that live in the same habitat to avoid interbreeding, Santana said. Santana, Lynch Alfaro and Alfaro present the first quantitative evidence linking social behavior to the evolution of facial diversity and complexity in primates, and they also show that ecology controls aspects of facial patterns. As species live closer to the equator, the skin and hair around their eyes get darker, the biologists report. They also found that regions of the face around the nose and mouth get darker when species live in humid environments and denser forests and that facial hair gets longer as species live farther from the equator and the climate gets colder, which may be related to regulating body temperature. "This is a good start toward understanding facial diversity," Alfaro said. "There was not a good idea before about what aspects of faces were shaped by which evolutionary pressure. Sharlene [Santana] has been able to say what social complexity, social behavior and ecology are doing to faces." In the future, Santana, Lynch Alfaro and Alfaro may use computer facial-recognition software to help quantify the faces in a more sophisticated way. They also plan to study the faces of carnivores, including big cats. 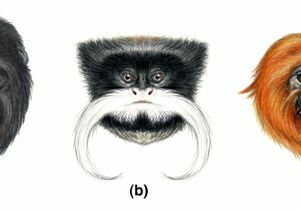 Previous studies, they noted, have found that primate species with moustaches and beards (such as No. 11 and No. 9 in the accompanying image) tend to look poker-faced; they don't move their faces much when they communicate, compared with other species (such as No. 4). Alfaro praised Santana's ability to answer some of these difficult evolutionary questions. "Sharlene has tested ideas that have been virtually impossible to test before," he said. "She has found a clever way to implicate the degree of sociality as contributing to the diversity of faces. Social behavior explains some aspects of facial diversity." Santana also devised a way to test a theory that has been in the biological literature for decades but had never been tested before. As a lineage diverges and species accumulate, a series of changes in facial coloration and body coloration emerges. The theory she was able to test suggests that once a species evolves to have a certain color, such as hair color, the change is irreversible and it cannot evolve back to a previous color in its lineage. Santana found this theory to be wrong. "The idea in biology that evolutionary change is irreversible is rejected very strongly by our data," Alfaro said. Does the study have implications for the evolution of human faces? The findings do suggest, Alfaro said, that an important factor in shaping human faces is the premium on making unambiguous facial expressions. "Humans don't have all these elaborate facial ornamentations, but we do have the ability to communicate visually with facial expressions," Alfaro said. 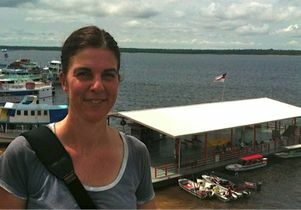 "Does reduced coloration complexity create a blank palate for visual expressions that can be conveyed more easily? That is an idea we are testing." 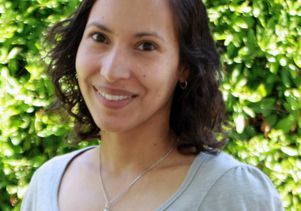 Santana's research is funded by fellowships from the National Science Foundation and UCLA's Institute for Society and Genetics. Proceedings of the Royal Society B is a leading British journal for biological sciences research. 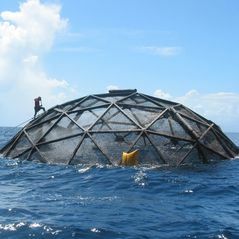 For more on Alfaro's research, visit http://pandorasboxfish.squarespace.com/.